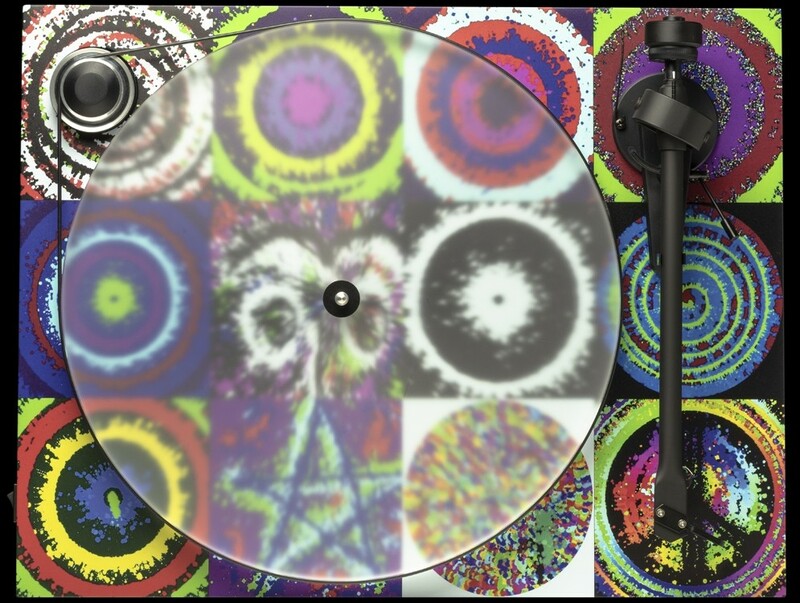 Joining Pro-Ject's lineup of Limited Edition Turntables, this is based on Essential III featuring upgraded Acryl-IT E platter and artwork by Ringo Starr. 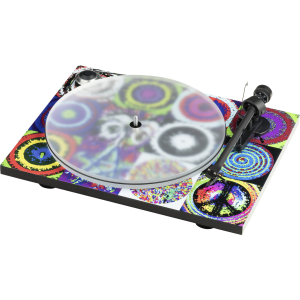 Pro-Ject Ringo Starr Peace and Love Limited Edition Turntable is based on the popular Pro-Ject Essential III A model and features upgraded Acryl-IT E platter and artwork designed by Ringo Starr himself. 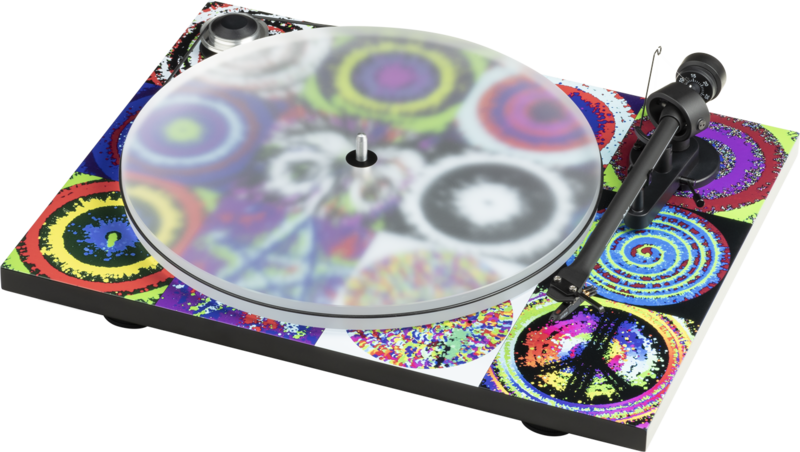 Celebrating the 30th anniversary of Ringo Starr and his All-Starr Band, this special edition turntable showcases yet another successful collaboration in the Artist Series from world-renowned hi-fi turntables and electronics manufacturers, Pro-Ject, Previous collaborations include The Beatles, The Rolling Stones, Guns N' Roses and Parov Stelar. Ringo Starr & His All-Star incredible live rock band has been constantly touring for 30 years and collaborate with handpicked artists and friends for a truly unique show. The stunning artwork displayed on the plinth is designed by Ringo Starr himself, meticulously created over many years. It has evolved with him and represents his commitment to love, unity and care. These values are reflected in his band and the turntable is now an extension of that statement. 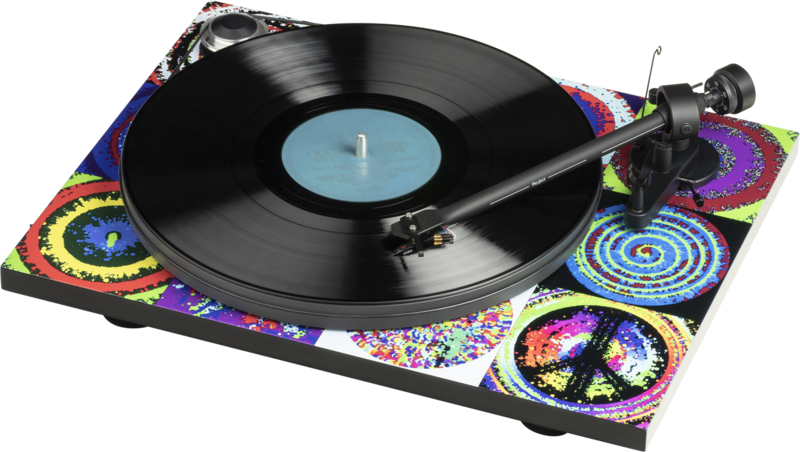 Based on the renowned Pro-Ject Essential III A turntable, the Ringo Starr “Peace & Love” Turntable features premium audiophile components including Ortofon’s OM 10 elliptical cartridge, secure belt drive system with diamond-cut aluminium pulley and aluminium 8.6” tonearm. The acrylic platter serves more than just aesthetics, ensuring ultimate audio performance for value. 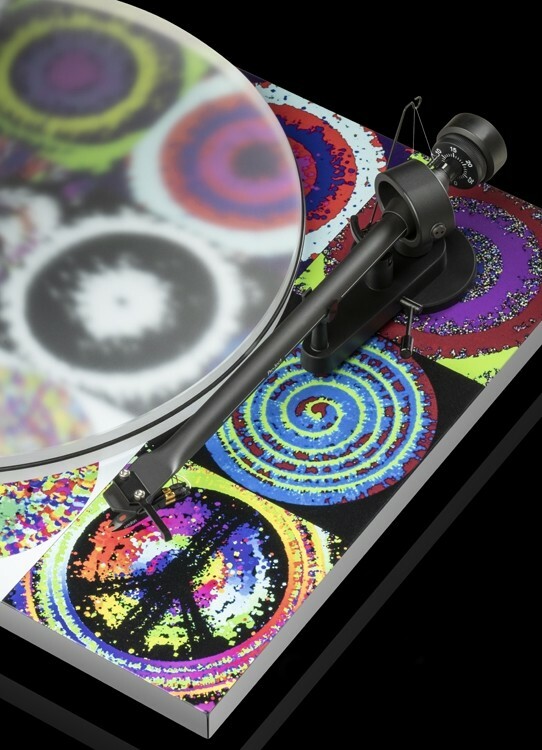 Supplied with a clear dust cover and terminated with Connect-IT E RCA cables, the turntable is ready instantly to link to any hi-fi system with phono stage support.